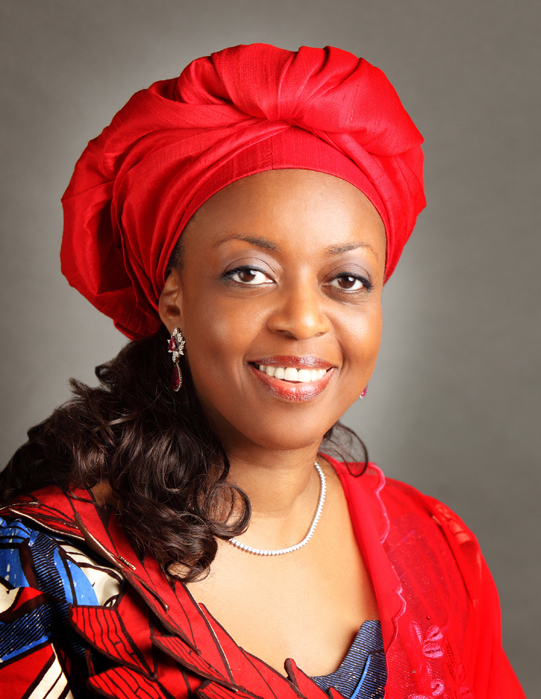 Justice Muslim Hassan of the Federal High Court in Lagos has ordered the temporary forfeiture of the sum of $153,310,000, which a former Minister of Petroleum Resources, Mrs. Diezani Alison-Madueke, allegedly siphoned from the Nigerian National Petroleum Corporation and stashed in three banks in the country. Out of the allegedly stolen $153.3m, a sum of N23, 446, 300,000 was kept in Sterling Bank Plc, N9,080, 000,000 in First Bank Plc and $5m in Access Bank Plc. After ordering the temporary forfeiture of the monies to the Federal Government on Friday, Justice Hassan gave Sterling Bank and any other interested party 14 days to appear before him to prove the legitimacy of the monies, failure of which the funds would be permanently forfeited to the Federal Government. The judge made the order in favour of the Economic and Financial Crimes Commission which appeared before him on Friday with an ex parte application seeking the temporary forfeiture of the funds. In a nine-paragraph affidavit filed in support of the ex parte application, an EFCC investigator, Moses Awolusi, claimed that the anti-graft agency discovered through its investigations how sometime in December 2014 Diezani, in collusion with a bank chief executive, hatched the plan on how a cash sum of $153,310,000 would be moved from the NNPC. According to Awolusi, Diezani instructed the bank boss to ensure that the money was “neither credited into any known account nor captured in any transaction platforms. Awolusi said the deal was accepted and implemented, leading to the movement of $153,310,000 from NNPC. He said two former Group Executive Directors of Finance and Account of NNPC, B.O.N. Otti and Stanley Lawson, helped Diezani to move the cash from NNPC, Abuja to the headquarters of Fidelity Bank in Lagos. Awolusi said in a desperate bid to conceal the source of the money, the Country Head of the bank, Mr. Martin Izuogbe, was instructed to take $113,310,000 cash out of the money to the Executive Director, Commercial and Institutional Bank, Sterling Bank Plc, Lanre Adesanya, to keep. He said the $108,310,000 was subsequently changed to N23, 446, 300,000 and saved in Sterling Bank. According to him, First Bank’s ED, Lawal, had converted the $40m kept with him to N9,080,000,000. Moving the ex parte application on Friday, the EFCC lawyer, Mr. Rotimi Oyedepo, urged Justice Hassan to order the temporary forfeiture of the funds to the Federal Government and to order Sterling Bank and Lawal, who were joined as defendants in the application, as well as any other interested parties, to appear in court within two weeks to show cause why the funds should not be permanently forfeited to the Federal Government. After hearing him out, Justice Hassan granted the order and adjourned till January 24, 2017 for the respondents to appear in court to show cause why the funds should not be permanently forfeited to the Federal Government.